← JESUS ASKED, WHO DO YOU SAY I AM? The room had been partially cleaned up the night before. My daughters-in-law had picked up the paper, bows, and tinsel, leaving anything lay that looked like it had any value. I had provided the gifts for the night. The guests had played various Santa games, and they could keep whatever they won. I surveyed the gifts that had been left behind. She will want it when she remembers, but at that time her week was so filled with stuff, it really didn’t matter. In the corner with some empty boxes, was a box containing a picture frame left by Dan.. The frame was for a child’s picture, it was not really appropriate for a twenty year old. Glenda had left the craft kits. She is much too busy balancing home and career to do crafts. Pete had left the magnets. They aren’t worth much to a five-year-old unless someone shows him what is so intriguing about them. Missy did not come to the party. She chose to go somewhere else. So her gift remained. Tim and Karell were drop-ins to the party; they left their presents behind because they hadn’t brought anything for exchange. I stood reflecting on the evening. What can I do for next year? How can I be sure everyone gets a perfect gift? Ah! The “Perfect Gift”! What joy! They had only left the bobbles. Each of my family had already received the Perfect Gift! Jesus, thank you. You really are the Gift of Christmas. . . .
Has your life been so filled with stuff, you forgot Him? Does He not fit a person of your age and sophistication? Are you just too busy to add Him to your schedule? Is He too abstract; do you want something you can figure out? Have you chosen to spend your time with someone else? Are you too proud to accept a free gift? Or, have you taken Him home with you? This entry was posted in Uncategorized and tagged Christianity, gifts, God's love, inspiration, Jesus, perfect gift. Bookmark the permalink. Perfect, beautiful analogy. How many of my gifts of His have I left behind?? Good question. interesting…I don’t think I have ever some across a situation where people left their gifts behind…great analogy though! Josee, each of the gifts and the receivers was actual to a member of my family. Nothing staged. I gave a speech about the situation and my discouragement for buying for my family. I was thinking about what to do the next year – what would be the perfect gift for them (based on my income, of course) when the application of people rejecting God’s perfect gift came to me and then I added that part on to my original writing. Thanks for the comment. I’m going to write more in a few days on this subject – gift giving. For instance, when I was going through a closet the other day, I found a large Christmas sack filled with wrapped gifts from last year. They belonged to family who were not here over the holiday and I forgot! I really not Scrooge, but my gifting if not very impressive! Except it’s not about the gift… When someone puts thought and effort into buying something for someone… The thought alone is precious! I would be heart broken if my gifts were received in such a careless manner, and I can’t imagine leaving a gift behind like that… I was not saying it was staged at all, but it broke my heart to read it… It also breaks my heart when people reject the gift of God… 🙂 thank you for sharing your heart! 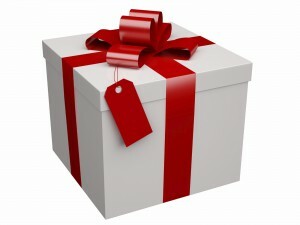 Gifting – or any giving – is (ought to be) an expression of love. Recall, “For God so loved… that He gave.” We give because we love — not only to give, but the ones we are giving. While it does hurt when the gift isn’t appreciated, but that ought not to diminish our love of giving to the ones we love. Thank you. I will explain a bit further in a day or two how I have handled the gift giving situation. It is satisfying and fun. My family love it if we can just manage to arrange time together. Being together is the key. I felt sad that they left those gifts behind. especially, if these gifts are not just mindless recycled or re-gifted, the way it happens on Diwali 😀 but these seem thoughtful. maybe not perfect but thoughtful. and isn’t it the thought that matters! Thank you, Wandering Soul. I have left my family looking like they are very ungrateful. They don’t seem like that to me, but I guess I would think that of other’s people! They just got too much stuff! Going to follow this with another post in a day or two. I’m sure your family is grateful. It’s just that we tend to be unmindful at times. We forget to say thank you. We do appreciate the gift. It’s just that we get distracted. We are thankful to God for the gifts He provides. We tend to focus on the gift rather than the giver. Sometimes, we even forget to make the gifts our own! Such is human nature. I have been over to your blog. I like your commentaries very much. They seem concise, to the point, and spot on to truth. I’ve made a note in a lesson manual to refer to your post about Jesus being Tempted. I will be teaching that lesson in two weeks. I’m thankful to have found your post. I’m sure I can use some pointers from it. There is such a powerful truth in this shared story. I too felt sad about the gifts left behind. The sad truth of Christmas is that many come for the celebration and do not open the Gift of God and really KNOW….the Baby. Also the gifts internally Love, Joy, Peace and Hope are often appreciated during the Season but forgotten or neglected as the new year approaches. The tragedy in our 2015 world is that even among those who claim to have opened the Gift they can deny the Reason for the Season. Buying gifts of love for family is such a precious part of life. My heart aches for all who have known the sorrow of not appreciated love gifts. We are sated with “stuff” in our lives. It breaks my heart the way kids tear into packages, pull out the gift, sometimes say thanks, then look around to see what else awaits them. If those gifts had been the only ones they got they wouldn’t have been left. Hmm! This really gives me pause to think. How many free gifts am I leaving un-taken? Worth thinking about. Thanks for the comment. Merry Christmas to you. beingmepresently, thank you for your reading and making comment. You know that’s a gift we bloggers seek! Obviously we are not all going to agree on everything all the time. What a bore that would be! I think our Commenting Bootcamp today is to write a polite comment of disagreement. I’ll have to look elsewhere because we agree! Wow, what a convoluted comment I have come up with. Thanks for reading. Only if we could appreciate things we have and be grateful. If things are not worth for us they might be, for someone who needs them. Our needs don’t remain constant, but those who know contentment have all their needs satisfied and wants can never be satisfied. Wants never satisfied – I think you are right. It is sad that not everyone recognizes the true meaning of a gift…it’s not the gift itself. Appreciation and respect is lost on people like this. Most people get so much all year round, it is hard to make gift giving special at Christmas. We do have much family fun, stories, eating, games, and we still have prayer. It’s always nice. I’m going to post soon about how I handle Christmas now. I’ll get it in a day or two (I hope). It is worth a try for families; my family loves it.